This low carb chocolate fondue makes a great dessert – or even a buffet table treat! 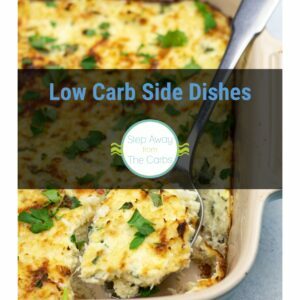 This two-ingredient recipe is SO easy – just add low carb chocolate and heavy cream to a slow cooker, and cook! 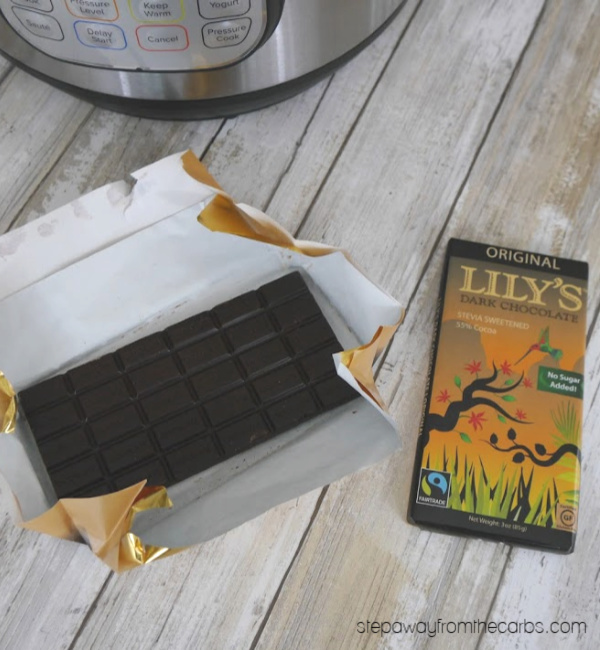 For this recipe I use Lily’s Sweets Original Dark Chocolate – it’s Stevia sweetened and 20g net carbs for the entire 3oz bar. Plus it’s sugar free and gluten free! You can get it from stores like Whole Foods, but also online from Amazon or Netrition. 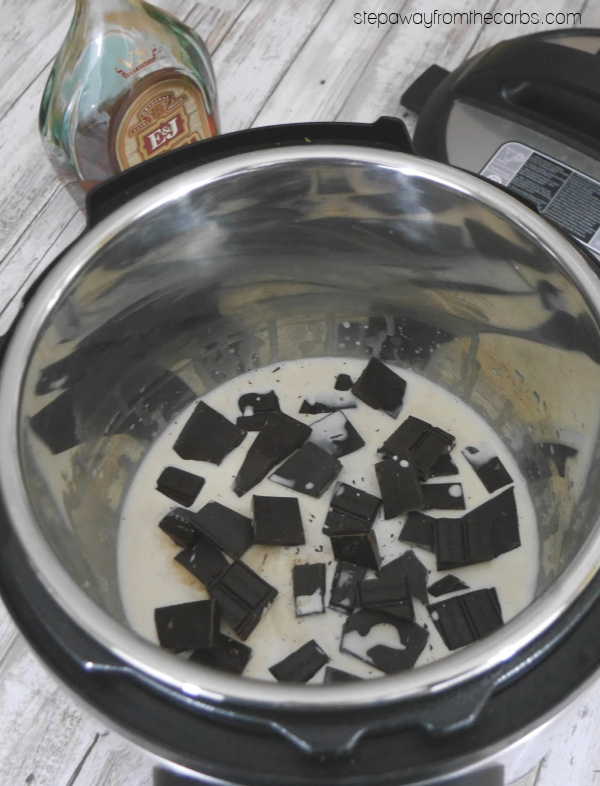 To make the fondue, add two bars of chocolate (broken up), heavy cream, unsweetened almond milk, vanilla extract and a splash of brandy to the slow cooker. 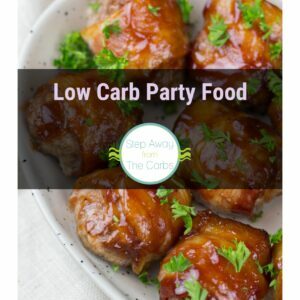 I have a small 3 quart slow cooker which is perfect for this recipe – or you can use the slow cooker setting on your instant pot! Oh, and the brandy is optional but rather good! Cook on the high setting for 30 minutes. When you open the lid, stir well until everything has thoroughly mixed together. It will smell fantastic!!! Meanwhile, prepare whatever you fancy for dipping. 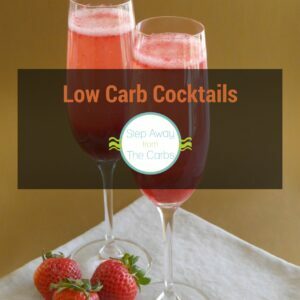 My favorite is fresh berries, but you could also make some chips from low carb tortillas, or try low carb marshmallows (available from Netrition or Amazon). 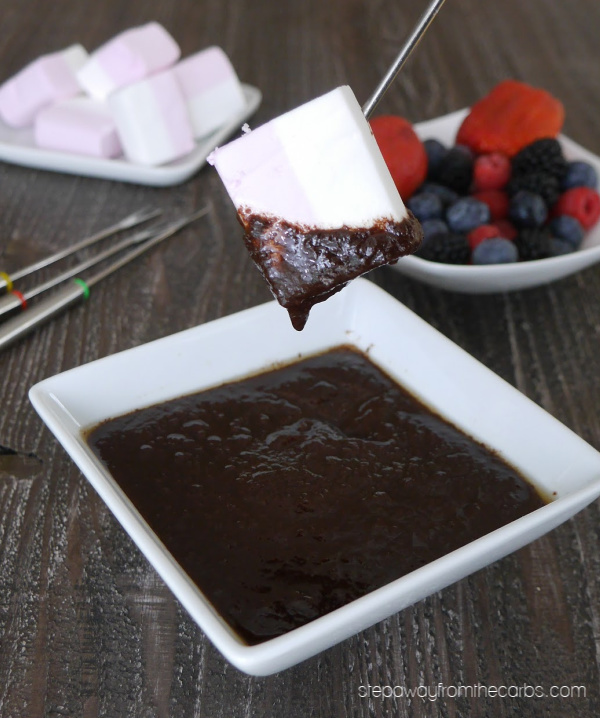 Spoon or pour the chocolate fondue into a serving bowl, and arrange your items for dipping, with skewers and/or toothpicks if necessary! 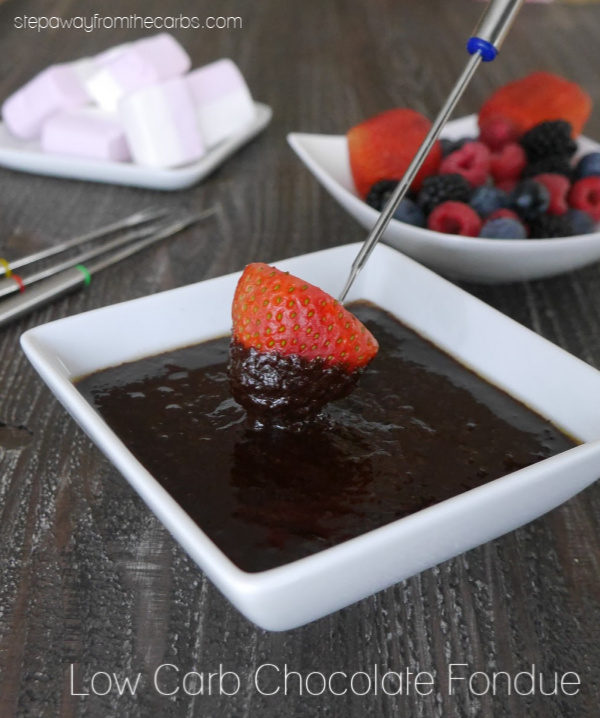 This low carb chocolate fondue makes a great dessert - or even a buffet table treat! A sugar free recipe that's made in the slow cooker or instant pot. Add all the ingredients to a slow cooker or Instant Pot. Cook on high for 30 minutes (slow cooking setting if using an IP). Stir well, then transfer the fondue to a serving bowl. Makes 2 cups, approx 8 servings. 3g net carbs per serving, not including sugar alcohols. My kids always beg for chocolate. I love how you use the crock pot so it can do it’s thing while I do mine. I’ll have to do this for my kids this weekend. Yum. I’m happy to bond with her over chocolate fondue LOL! Oooh. We love fondue! Yum! Great idea! I love chocolate. I might even try this with coconut milk. Yes I bet that would work! Let me know if you try it! 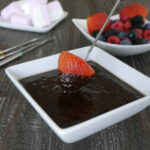 Strawberries are so good in chocolate fondue! What an awesome and easy idea! 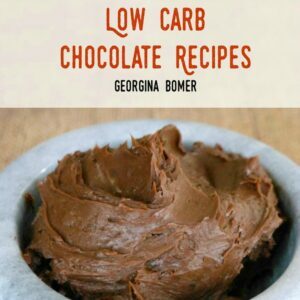 I love chocolate and this looks great!